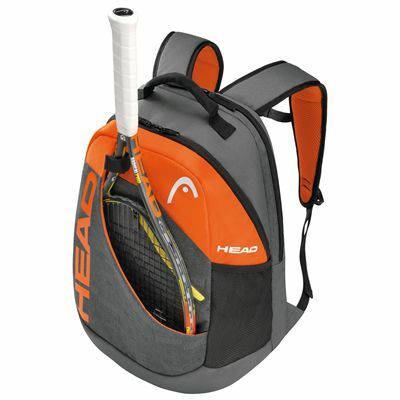 The Head Rebel backpack is a compact and stylish racket bag that offers good capacity, with a storage space for 1 racket at the front. 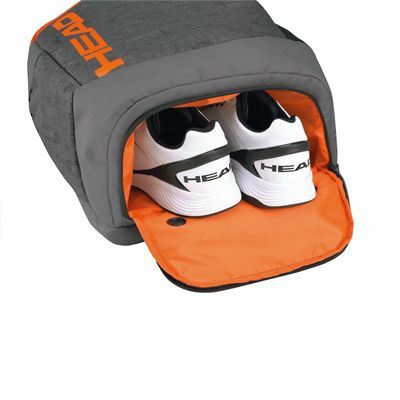 There is a shoe compartment that will keep your footwear away from the rest of your equipment, and the main section will hold other kit and clothes. The racquet bag also has a front zip pocket and a side mesh pocket which is ideal for drinks bottles. The sports rucksack has a carry handle and padded and adjustable backpack straps with chest buckles for easy and comfortable carrying. for submitting product review about Head Rebel Backpack SS15.